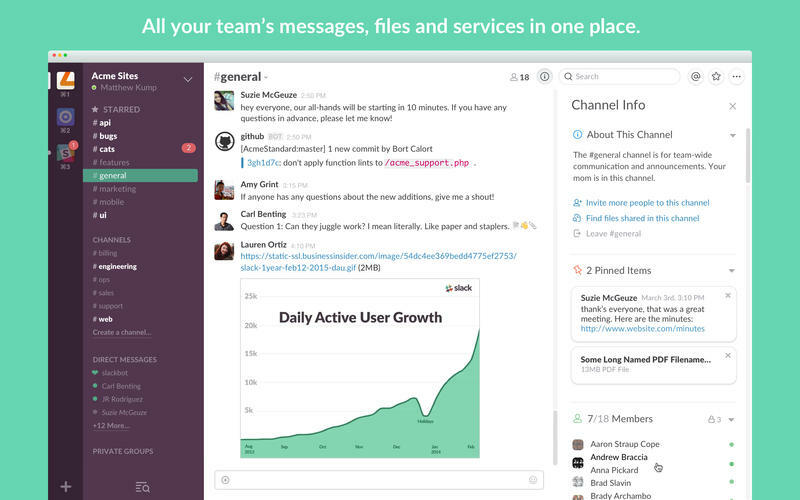 Slack (com.tinyspeck.slackmacgap) is a Mac OS X software application that has been discovered and submitted by users of iBoostUp. The latest version that our iBoostUp users have reported seeing on their systems is Slack 4830. The most popular version of this application used by our users is version 3512. 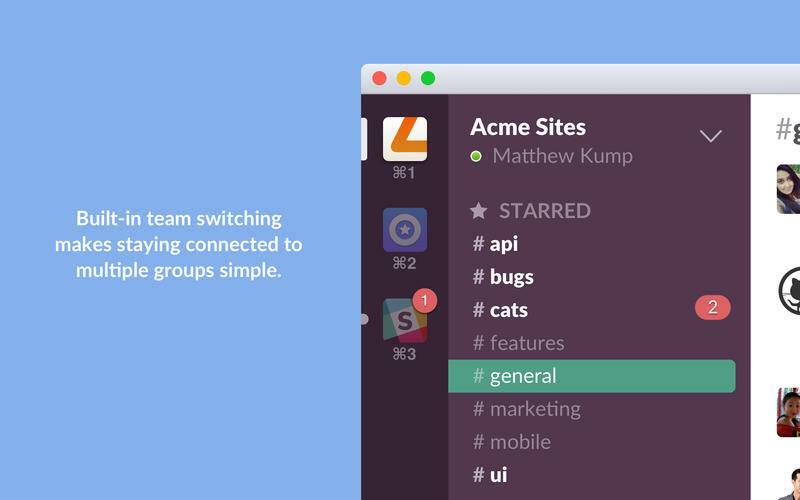 All your team communication in one place. A new way to get more done, spend less time in meetings, and reduce email. Thats Slack. Slack is available for free for as long as you want, with upgradeable plans for increased membership, extended message history, unlimited integrations, file storage and customizable data retention policies. Find out what our customers are saying at twitter.com/slacklovetweets. For more infomation on Slack please click here, or to find updates and downloads of Slack please click here.